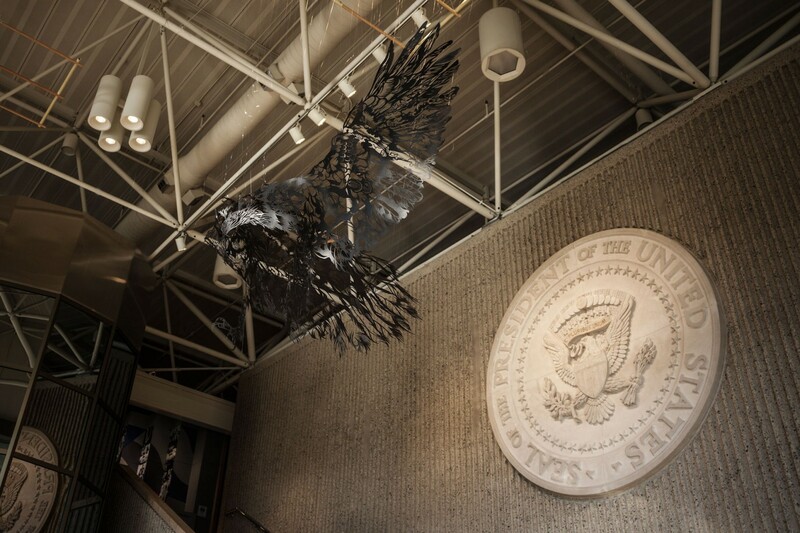 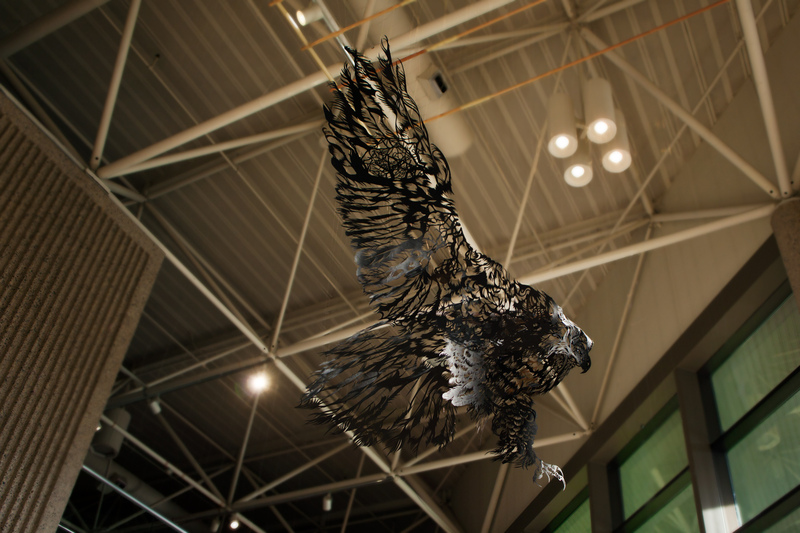 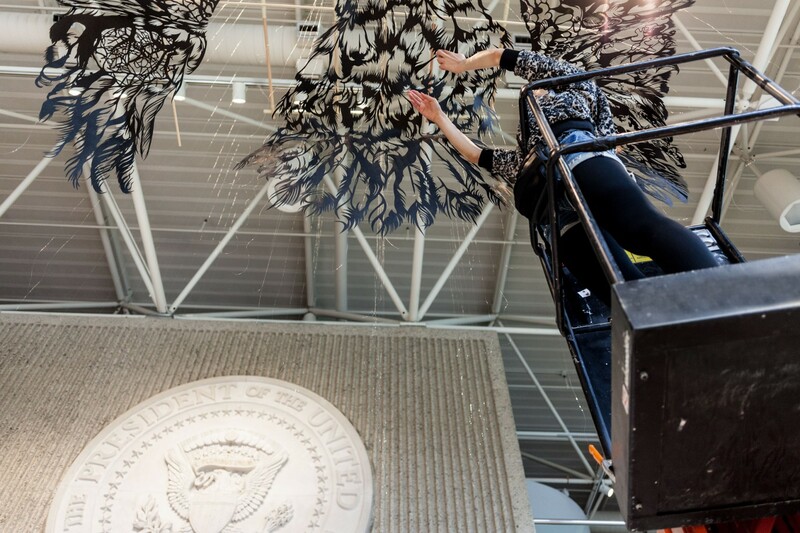 ArtPrize 2014: Paper Artist, Nahoko Kojima astounds US crowd with the heavenly, Washi (2014) Bald Eagle. 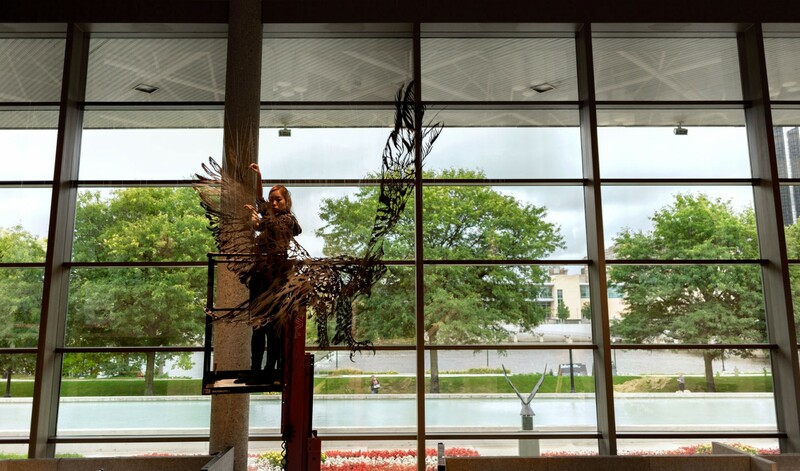 The word literally translates from Japanese as Eagle, but also means the type of paper that was used to cut the piece. 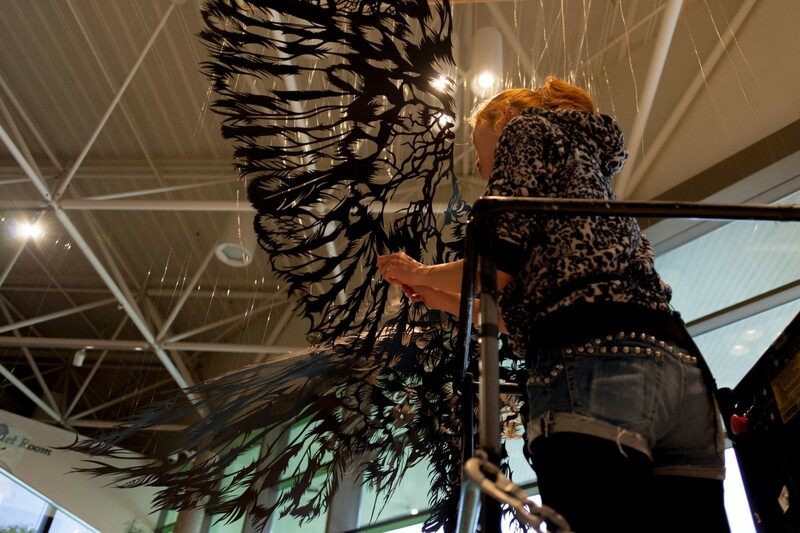 A narrative runs through the piece as is customary for Nahoko’s style of Paper Art but the form cut by hand from only one 10ft square sheet of paper is a truly masterful feat.